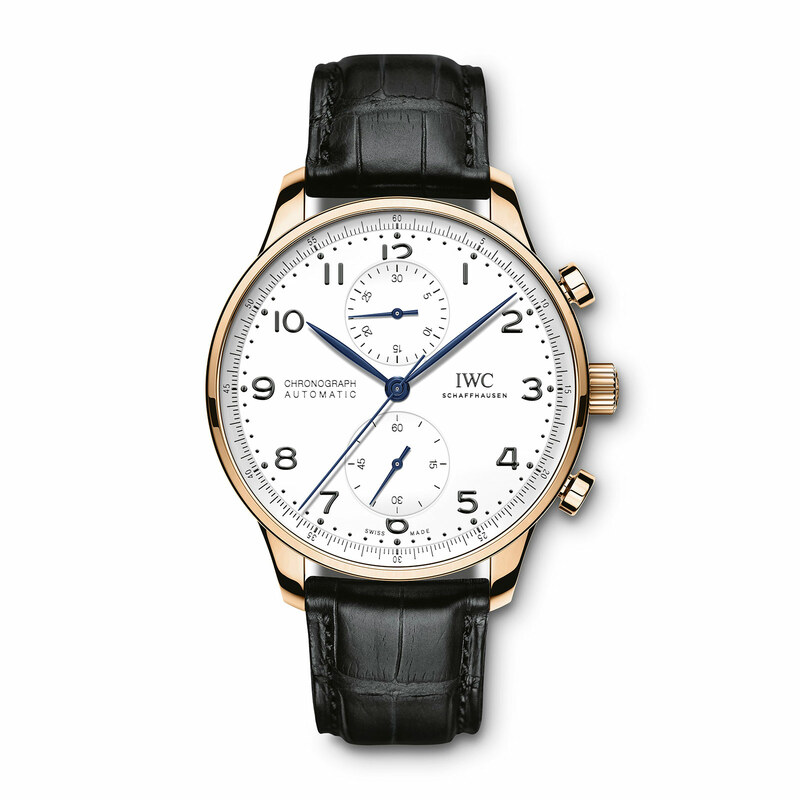 IWC’s Jubilee Collection – led by the critically acclaimed Pallweber – was warmly received when it was rolled out at SIHH 2018, being mostly made up of classics with modest tweaks to mark 150 years. The stainless steel Portugieser Chronograph in particular was a hit, having been upgraded with a “manufacture” movement for not very much. Now its status as a commercial hit has been confirmed with the addition of the Portugieser Chronograph Edition “150 Years” in 18k red gold, bringing the total number of Jubilee watches to 29 (after the surprise launch of the Pallweber pocket watch as well). 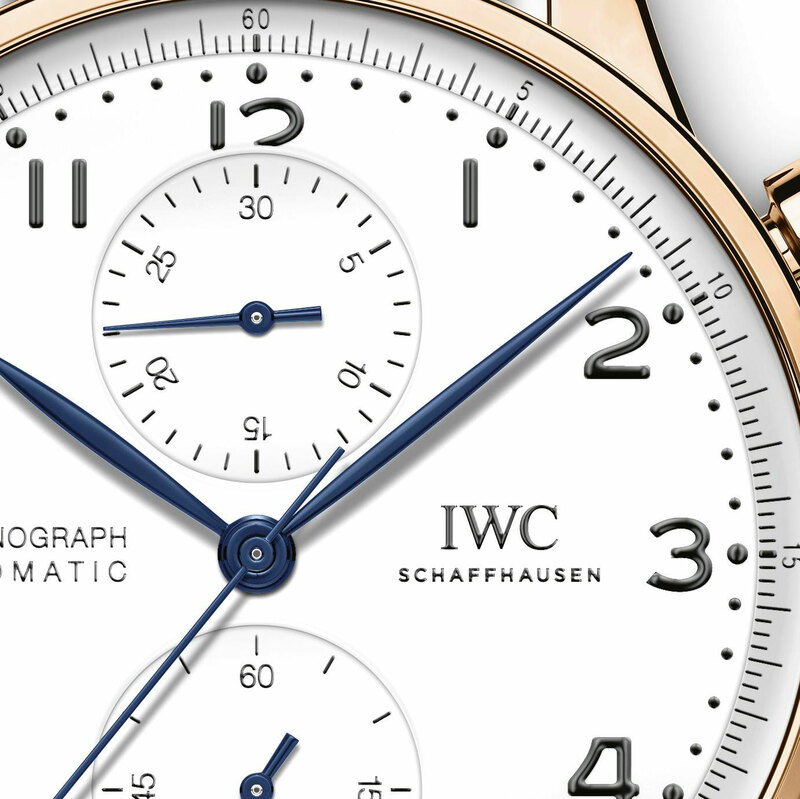 The 18k red gold chronograph is limited to 250 pieces, and features a glossy white lacquered dial with blued steel hands and black numerals. It’s otherwise identical to the steel model, powered by the cal. 69355 automatic movement, which is loosely based on the architecture of the Valjoux 7750 but heavily upgraded, with a column wheel amongst other things. 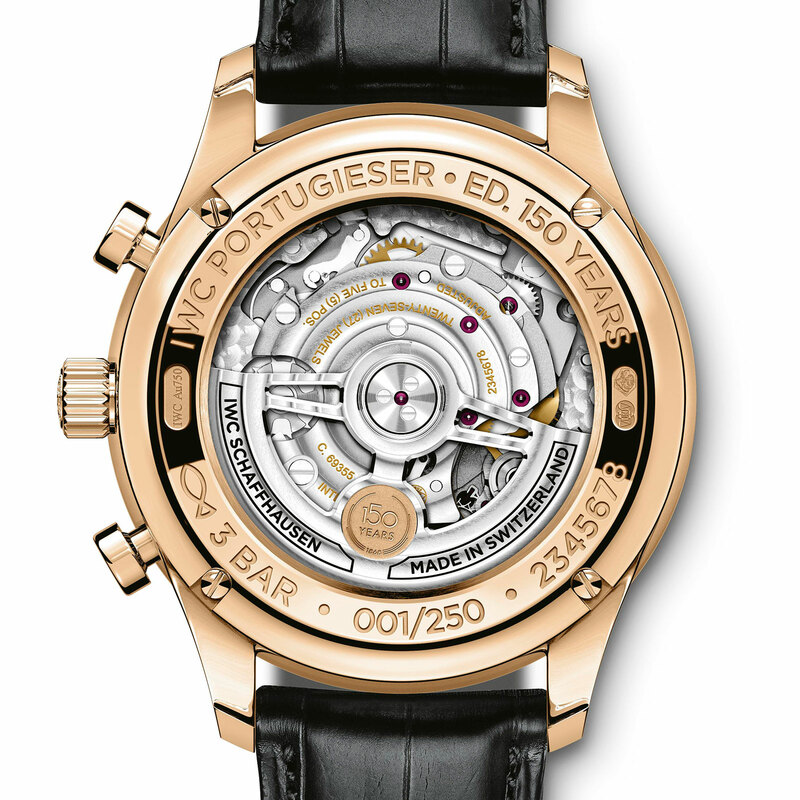 The Portugieser Chronograph Edition “150 Years” in 18k red gold (ref. IW371603) will be priced at approximately US$17,000. In Singapore it will cost S$24,400 including tax.